A big thank you to Jenson for sending in theses fabulous photos. 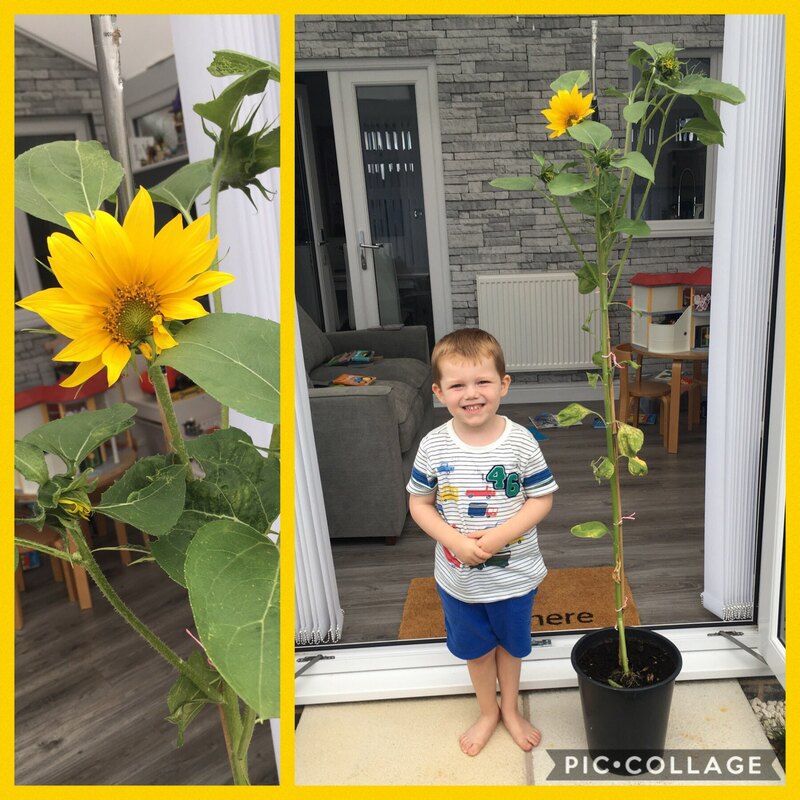 Look how big his sunflower has grown since we planted them together! You must be taking extra special care of it Jenson, well done! This entry was posted in EYFS and tagged Science on August 14, 2018 by Sandford Hill. Wow Jenson- that looks awesome!